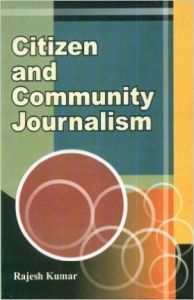 Citizen and Community Journalism seeks to go beyond the intellectual debates of recent years on democratization and participation to explore a related set of issues around changing conceptions of citizenship. People's understandings of what it means to be a citizen go to the heart of the various meanings of identity, including national identity; political and electoral participation; and rights. Citizen journalism, also known as public journalism is the concept of members of the public playing an active role in the process of collecting, reporting, analysing and disseminating news and information. Citizen Journalists are not bound by the conventional term of a journalist.